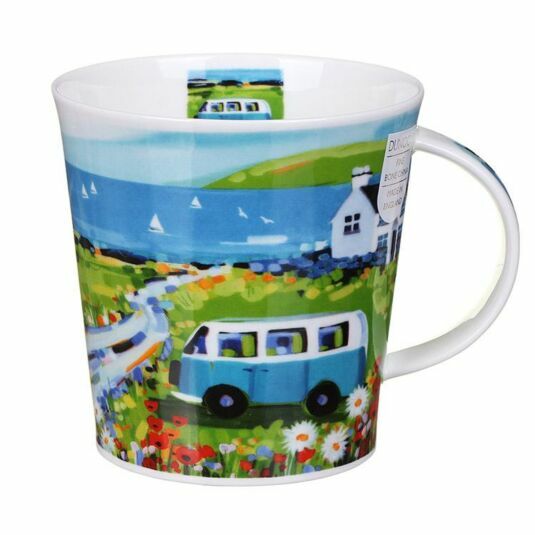 A bright and eye-catching nautical scene is portrayed on this lovely mug from Dunoon. Two blue campervans are sat on greenery overlooking the bay. The design is repeated on the inside rim of the mug, along with down the handle. 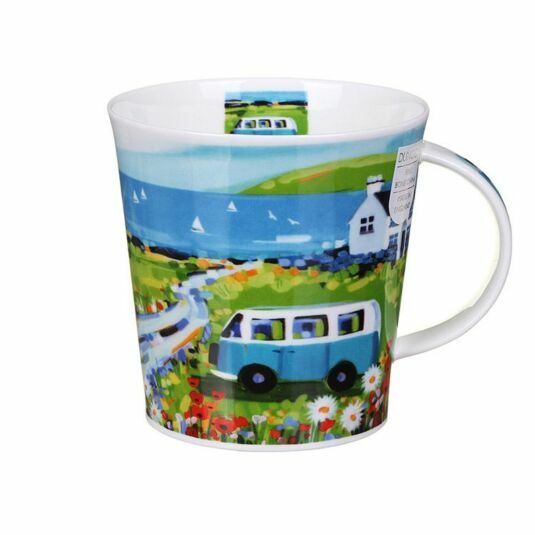 This mug would make a lovely gift for anyone who loves the seaside or just appreciates talented painting!